Home NEWS & EVENTS Congratulations Jeschelle!! BASCS student art work have been selected by the NJ State YAM exhibit. This is a once in a lifetime opportunity for the art students to participate in. Two winners from have been selected from BASCS. The winners are: BASCS Elementary student, Serra O. and BASCS High School student, Jeschelle M.
The 2016 State YAM Exhibit will be held from March 4th to March 11th at the Statehouse in Trenton. 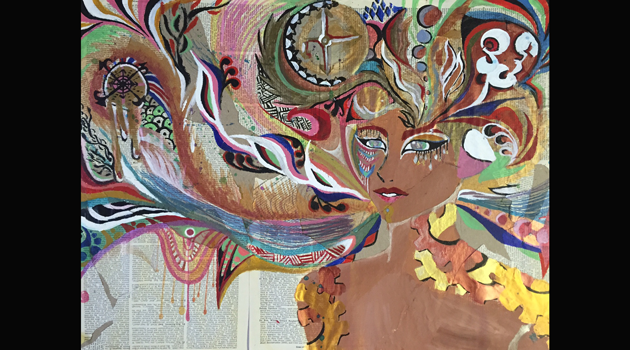 Over 100 pieces of NJ student artwork will be on display from every county in the state! The web posting picture is BASCS High School winner Jeschelle M.